I live on the water and the weather is beautiful today; I can’t think of a better way to spend Memorial Day than on a boat. Sailing is great, but I’ve never had the desire to own a sailboat larger than a Sunfish. What I really want, is a Hinckley Picnic Boat. We had one on the Vineyard mid 90’s, and a few years ago, I spent an afternoon circling Islesboro, Maine with friends on their 36-footer. My dream boat. @kristina_oneill, editor in chief of the WSJ. 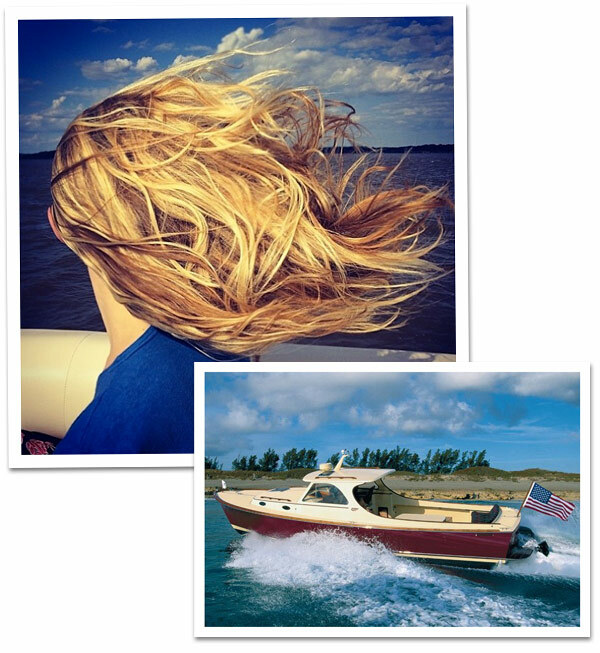 magazine, boating in Virginia this weekend courtesy of Instagram, and an image of a Picnic Boat from ‘Hinckley Yachts’ (Rizzoli, 224 pages) by Nick Voulgaris. When we had a house on the Vineyard, we’d settle in Memorial Day weekend, and this year is the first time I’m really missing it. We had a picnic boat (not a Hinckley) and would spend most days on it, anchoring somewhere for lunch and a swim. Feeling very nostalgic reading this post. Ah, sweet nostalgia! I have such good memories of swimming off these boats as a girl. Your blog is the ONLY blog I follow and this post blew me away! My husband and I own a Hinckley Picnic Boat! If you’re ever near Jupiter Florida……..have a beautiful holiday! What a beautiful atmosphere!!! !I live in Italy, beautiful country, but when i think to Vineyard i would be there!! !